The end of US dollar dominance may be unfolding in front of our eyes. 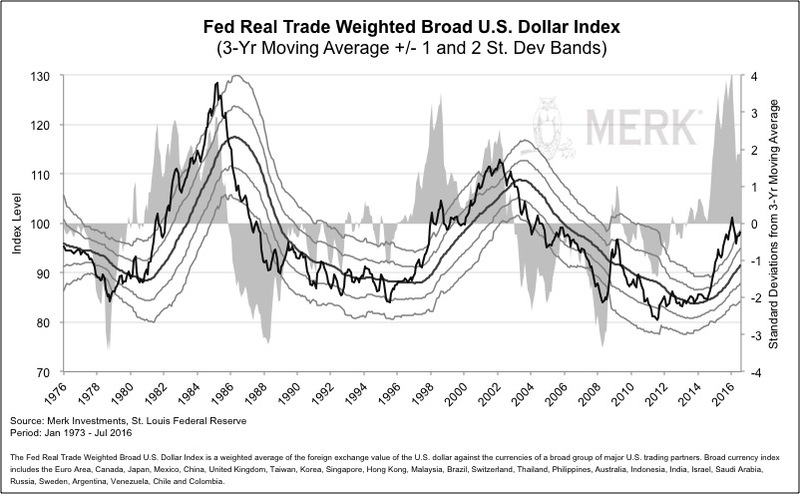 No, we don't think China's ascent is the key threat; instead, key to understanding the US dollar may be to understand the money market fund you might hold. Let me explain what's unfolding in front of our eyes, and what it might mean for the US dollar and global markets. 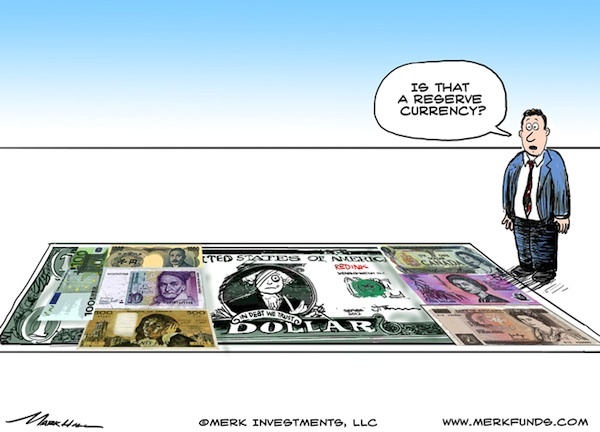 Typically, when we think about potential threats to the dollar, we think a different reserve currency might take over; or that foreigners might dump their dollar holdings. I will touch on these, but then dive into what may be a much bigger elephant in the room. Bear with me. Yes, foreigners hold trillions in US debt, and if they were to dump all their debt, borrowing cost in the US might rise. Except it hasn't happened: in our analysis, as foreigners have been selling US Treasuries, the dollar has neither plunged, nor have US borrowing costs skyrocketed. Why is that? As we will discuss below, we believe, in the short-term, other market forces have been even stronger. Read Has Saudi Arabia Pushed OPEC Too Far? 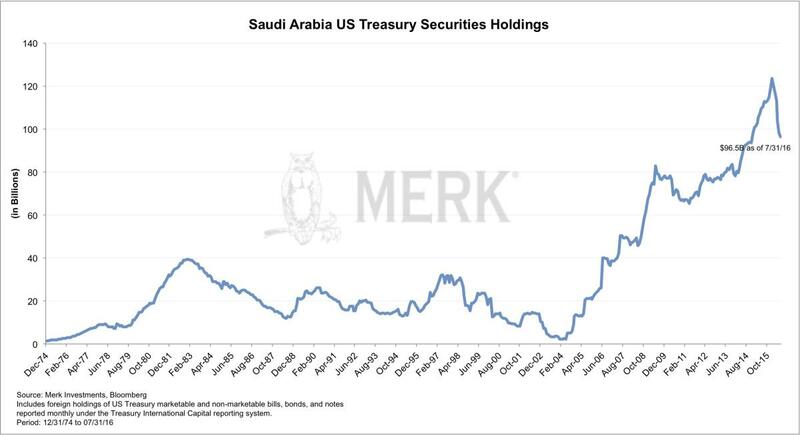 I write "may be" because there might be other reasons for the Saudis to sell US Treasuries, such as a need to raise cash to deal with the fiscal challenges that have resulted from lower oil prices. Some say the inclusion of China's currency into the official basket of reserve currencies (SDRs) by the International Monetary Fund (IMF) is a clear sign that we have the beginning of the end of dollar dominance. In our assessment, this change is mostly symbolic. First of all, the new SDR basket barely changes the US dollar weighting (other currencies were reduced to make space for the yuan); second, no large country manages its reserves according to the formula provided by the SDR; instead we allege that they manage them according to what they believe to be in their perceived self-interest. Where SDRs come into play is when the IMF provides a loan, as those are typically denominated in SDR. A belief in this theory suggests a great belief in the power of the IMF, an institution that has, ever since its inception, looked for reasons to be relevant. I'm not trying to discredit this theory, but am a firm believer that market forces playing out may well overwhelm the bureaucrats at the IMF for a long time. It turns out, though, that those that predict the end of the dollar dominance might still be right; not because of the IMF, though, but because of what we believe are massive changes underway in how anyone from foreign governments to foreign banks to foreign and domestic corporations fund themselves. At the peak of the Eurozone debt crisis in 2011, we cautioned that US investors weren't immune from potential fallouts because prime money market funds, i.e. the typical money market fund that doesn't exclusively invest in US government securities, at the time had incredible exposure to European banks. It turns out European banks historically have had great funding needs in US dollars because they extended US dollar denominated loans in emerging markets, amongst others. At the time, we calculated that the average prime money market fund had half of its investment in US dollar denominated commercial paper issued by (often weak) European banks; our analysis showed one money market fund of a major brokerage firm had 75% of its holdings in such paper. We weren't the only ones warning about this, and, within months, we gauged that the overall quality of investments held by money market funds improved. Sure enough, though, "everyone" appears to be chasing yield, and your money market fund portfolio manager may not have been immune from it, either. It turns out that this month, new rules for certain money market funds are being phased in. The regulations focus on institutional money market funds - you might not hold them in your retail brokerage account, but could be invested in one through your 401(k) plan. The new rules make it far less attractive for money market funds to invest in anything that's not US government paper. Amongst others, institutional money market funds that invest in securities other than US government paper must have a floating Net Asset Value rather than a fixed value of $1; they also must caution investors that their money might be held hostage for a few days in case of a panic in the market. Aside from a shift on how portfolio managers manage money market funds, investors are also thinking twice whether it's worthwhile to stuff money into money market funds when the returns are near zero, yet the risks are now higher (a floating NAV is riskier than a fixed one; so is the potential inability to withdraw money) than they used to be. As money market funds have been preparing for the new rules, we have seen seismic shifts in the world of global finance. Basically, until 2008, we believe there was a perception that money market funds were safe. The 'breaking of the buck' of a money market fund in 2008 threw cold water on that theory, but what few noticed is that it wasn't just an illusion for investors. For issuers of debt, it was what might be considered an implicit government guarantee (because the government set the rules on stable net asset value and liquidity), thus allowing issuers to access funding at what we believe was a subsidized rate. Think about it: a world where there's one place where funding is cheaper. Wouldn't you want to access that cheap pool of money if you were in need of cash? Well, you may not be large enough, but municipal and US corporate issuers are large enough; so are foreign corporates, foreign banks and foreign sovereigns. In our assessment, the reason LIBOR has been increasing is because borrowers are no longer able to access US money market funds as cheaply as they used to. With the new rules, I allege they have to pay closer to a true market rate rather than what used to be a subsidized rate. This doesn't just affect European banks, but also US corporate and municipal issuers. If you want to know why the Fed didn't raise rates in September, I believe the full phasing in of new money market fund rules is the main reason: the Fed wants to see how LIBOR rates behave. We believe this additional cost in the LIBOR market may well be permanent. And it may also be ultimately healthy for global markets, as borrowers will have to pay interest at a rate that's more reflective of their risk profile. However, that doesn't mean that there aren't major implications. If our analysis is correct and there has been a massive subsidy to borrow in US dollars through the old money market fund rules, then we believe this helps explain why so many borrowers wanted to get their funding in US dollars. No wonder the US dollar was so popular when you got a free lunch. In today's world, though, a European bank is no longer able to tap into US dollar funding at the same favorable terms, as evidenced by the higher LIBOR rates. That means their clients won't have access to the same embellished terms, either. Such clients may well decide to no longer seek a US dollar loan, but instead, a euro-denominated loan or a loan denominated in their home country's currency. This trend might be accelerated by the fact that interest rates in the Eurozone are lower than in the US As much as we love to hate the euro, this trend may let the euro rise as a formidable competitor to the US dollar as a reserve currency. What Does It Mean for the Markets? Liquidity. When borrowing costs go up, liquidity might go down. When it comes to the foreign exchange markets, there's been a glaring "violation" of a textbook equation that suggests that it is equivalent to buy a bond in a foreign currency or a foreign currency forward contract. It's equivalent because there is an arbitrage opportunity. Well, not so anymore: covered interest rate parity, as this is referred to, has been broken. Basically, alleged arbitrage opportunities are not swept away. 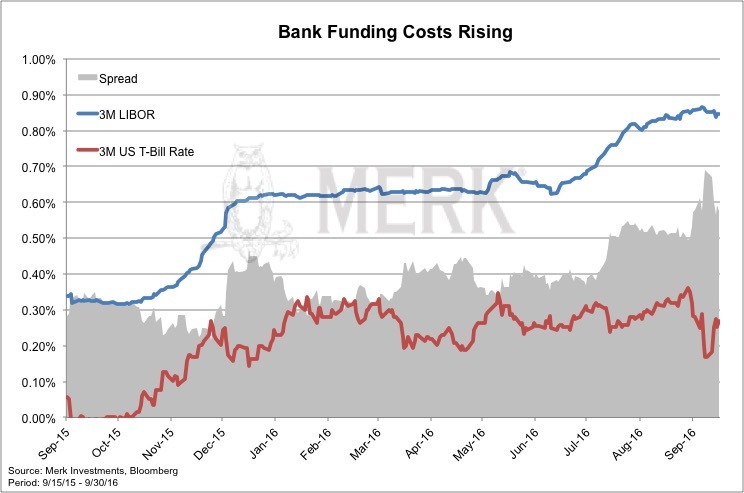 In our view, the increased funding costs are a key reason; the second reason may well be increased regulations that don't allow banks to gear up their balance sheets anymore to eat what used to be considered a free lunch. For those that like to dig deeper into this topic, please see this report from the Bank of International Settlements for an interesting perspective. To us, this is a sign that liquidity isn't what it used to be. Differently said, next time there's a crisis, don't expect markets to work as expected. Remember, the 1987 stock market crash may have been exacerbated when the link between the cash and futures markets failed, i.e. when liquidity providers could no longer arbitrage market inefficiencies away. Dollar squeeze. If you think the dollar would crash because of these changes, slow down. There are lots of different reasons to issue US dollar-denominated debt, and different stakeholders may well act differently. Take the foreign issuer that wanted to get cheap dollar funding. That issuer may have been hedged or un-hedged. If un-hedged, such a borrower might have raised money in US dollars, then sold the dollar to acquire, say, Chinese yuan. In essence, such a borrower is short US dollar. When it is no longer attractive to borrow in US dollar, the loan will be repaid, causing a dollar squeeze (higher). We think we have seen this dollar squeeze play out until the end of last year. The force may continue to play out, but other forces might be stronger. The example above mentions the Chinese yuan. Aside from the corporate issuer, the Chinese government sees someone buying yuan, but doesn't like the yuan to appreciate. In this particular case, even if the corporation didn't hedge, the Chinese government might jump in to gobble up the US dollars, and acquire US Treasuries in the process. The world is complex and there are all kinds of reasons to issue US dollar-denominated debt. When positions are currency hedged, the phasing out of such a position might not have any impact at all on the currency. We also see an uptick in US corporate borrowers taking on euro-denominated debt. To us, this trend is no co-incidence, as the euro may well become a more formidable competitor. And those of you that roll your eyes because there are issues in the Eurozone, I'm not suggesting that those issues will be solved, just as many US challenges won't be solved. We will discuss the euro implications in more depth in an upcoming MerkInsight. In the medium term, we expect funding in local currencies to increase. We have already said years ago that this will ultimately create a more stable global financial system. But it has ripple effects to the US With global fixed income markets developing, US fixed income markets might become less relevant. The Chinese government, for example, might not have as a much of a need to purchase US Treasuries. That, in turn, might increase the borrowing cost for all US borrowers, including the US government. Some say that the dollar has to rise because US rates may go up. In our analysis, real interest rates, i.e. those after inflation, may not go up as the Fed is at risk of falling further behind the curve; at the same time, interest rates in part of the rest of the world may have reached their lows. In this context, we see it is quite conceivable that the US dollar could continue to weaken.